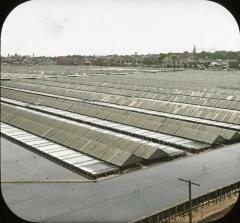 Panoramic view of salt works at Syracuse, New York. Rows of sheds fill the foreground. In the background is the city of Syracuse.